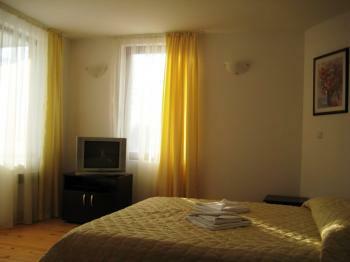 This type of studio apartments in Four Leaf Clover - Bansko has one double bed and could accommodate 2 people. We can also provide an extra bed for children bellow 6 years. The studios are fully furnished and provide the possibility for full catering. With every room in Four Leaf Clover - Bansko we include breakfast in our restaurant so cooking is not necessary but in case cooking makes you happy, you have all necessary amenities to do it here.